A facelift and neck lift rejuvenate the appearance by restoring the face to smoother, more youthful contours. Over time, age takes a toll on the elasticity of the skin and fullness of the structures, leaving the face and neck areas with loose sagging skin. As skin loses its elasticity, wrinkles and fine lines can form, causing you to look older and/or tired. Most people find that as the face ages, so does the neck. The combined facelift and neck lift procedures are very beneficial to restoring a smoother face, jawline and upper neck. 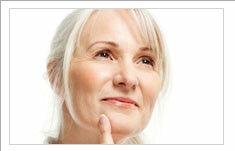 These patients may also feel that their face and neck do not reflect the youthful spirit and energy level they have. Many times, candidates are looking for a way to rejuvenate and refresh their appearance, making them appear less worn out and more energetic. Facelift is a great procedure for those who wish to turn back the hands of time and revive their appearance. Facelift and neck lift is performed as an outpatient procedure and typically takes around 1.5 -3 hours depending on the individual. The procedure involves incisions that are placed inconspicuously, typically hidden around the ear and hairline, and sometimes under the chin. Through these incisions, the facial muscles are gently tightened and the skin is lifted removing any excess skin of the cheeks, jawline, and neck. This is all done in a way to ensure that the skin does not appear to be excessively tightened or pulled. It is important that the results appear very natural. Typically stitches are removed one week following the procedure. Facelift and neck lift is a commonly performed procedure with rare complications. It can be performed under general anesthesia or local anesthesia with sedation. As with any surgery, patients must be aware of potential risks and complications. These could include, hematoma, nerve injury, infection, unsatisfactory scars, or recurrent sagging, Most patients find that results last 5-10 years, but this will depend on genetic factors, age, sun damage, and skin elasticity. It is very important in this procedure to not be a smoker, to have normal blood pressure (or adequately treated hypertension) and be off all blood thinners (aspirin, Motrin, Advil, Vitamin E, fish oil, certain herbals, and others). Facelift and neck lift rejuvenates the appearance by restoring the face to smoother, more youthful contours. Recovery is relatively quick with minimal discomfort. A face/neck lift can range from $4,500 to $10,000.